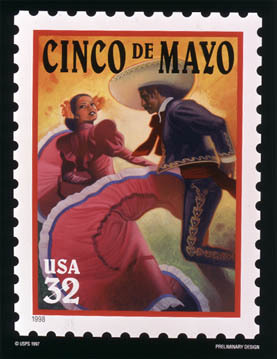 Cinco de Mayo has always been one of my favorite days of the years. The food was the biggest part of the celebration for me. But when I was growing up the soundtrack of Cinco de Mayo was Herb Albert's "Going Places". It is a little bit surprising to me that the album itself didn't disintegrate by the time I was 8 because I played it over and over again. This year we celebrated Cinco de Mayo a few days early by having lunch with friends at the Casa des Oro in Kellogg Idaho. It is a fabulous authentic mexican restaurant just down the street from Dave Smith Motors. It doesn't look super authentic from the outside but once you step through the second door you are transported away to Mexico. One thing you don't always associate with Cinqo des Mayo is potatoes. But our friends at the Idaho Potato Commission suggest you should think again. CLICK HERE to see how us true Idahoans will be celebrating Cinqo des Mayo today. If you don't know what Cinco de Mayo is all about then CLICK HERE to read an update from the Idaho Statesman.